Microsoft’s newly released operating system is causing a lot of stir in the tech world. Many people have upgraded to the operating system and have found the experience pleasing. In other words, the Windows 10 might be winning some hearts. Since Windows 8, Microsoft introduced the new Windows app store for its Operating System and introduced it to the world of Applications. You could now download and run various Applications, Games and Utilities from the Application Store and make your Windows experience more fun. 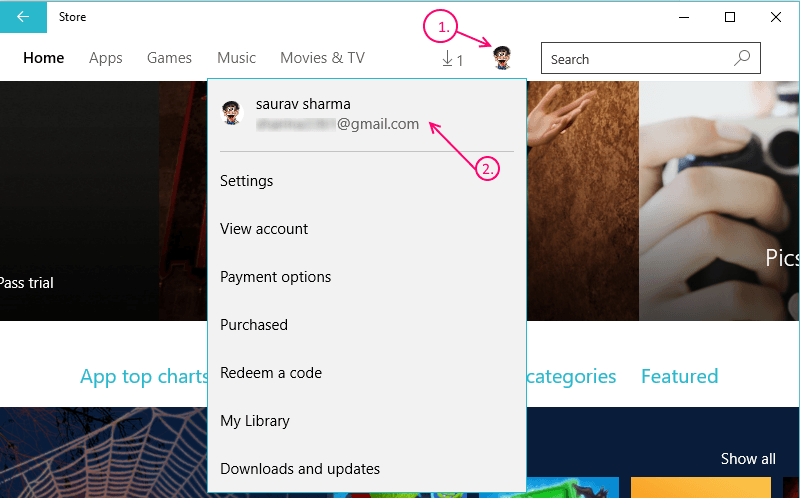 Windows store works like any other store, linking with your email account and using it to authorize purchases and keep track of your downloads. In this case the store will link to your Microsoft account. By default, you will be signed into the Windows store using the same Microsoft Account, your Windows 10 is associated with and was activated by. But many users want to sign into their store using a different account for various reasons like having previous purchases linked to that account, the other Microsoft could be linked with your Windows Mobile device etc. 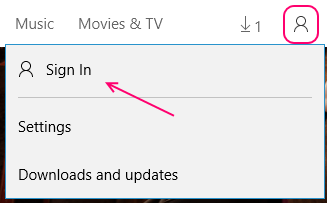 No matter what the reason, if you want to sign into the Microsoft store using a different account, here is how you do so..
How do you sign into the Windows store using a different account?? 2- Click on the user icon, located to the left of the search bar. 3- Click on the Microsoft Account associated with the Windows Store at the moment. 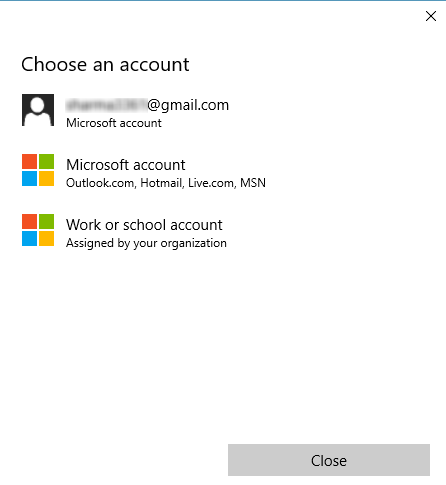 4- This will show you another dialog box with the same Microsoft account, Click on it again. 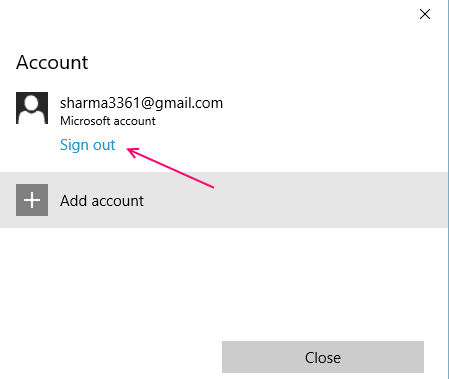 5- You will now see an option of Sign Out just under the Microsoft Account. 6- Click on Sign Out. 7- This will sign you out of the Windows Store. 8- Close the Windows Store app. You can now use a different Microsoft Account to sign into the store without changing the account associated with your Operating System. 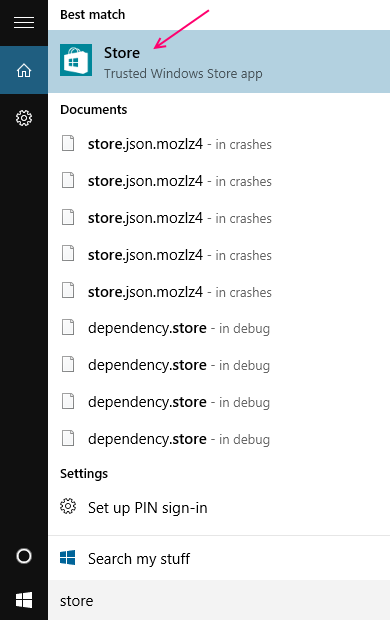 9- Open the Windows Store app again. 10- Click on the same user icon beside the search bar. 11- Now select Sign in. 12- Windows will now ask you to choose an account. 13- You can select an existing account if you have one configured, or enter a new one or use your work or school email id depending upon your preference. 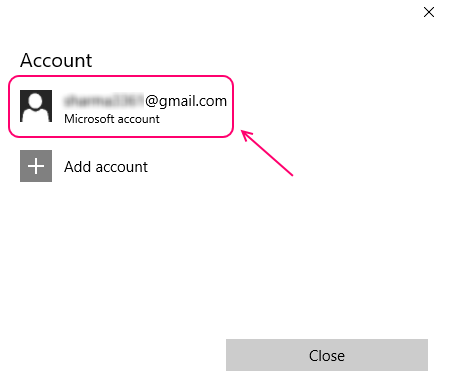 A> If you choose an existing account, you will sign into the store using it while still being signed into Windows 10 using your original account. B> If you choose Enter a new account or Use your work or school account, you will have to enter the account name and password on the next screen . IMPORTANT: If you are signing in using a new Account, you will be presented with a Window saying Make it yours, after you have entered your account details. This will, basically be Windows asking you to sync your settings and files and also permission to use the same Microsoft account for the rest of the windows. Make sure you select -I’ll connect my Microsoft account later.